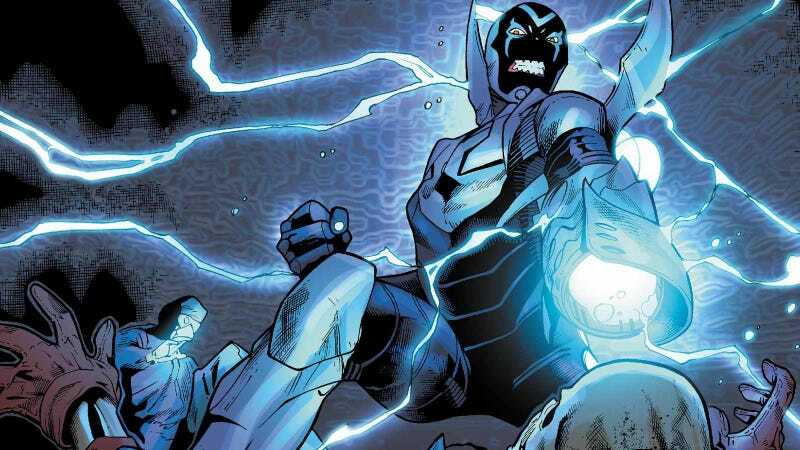 DC and Warner Bros. are working on a stand-alone Blue Beetle film, with Latino comic book character Jaime Reyes as the chosen incarnation of the title hero. Reyes is a Mexican-American teenager from El Paso, Texas who inadvertently becomes the conduit for the Blue Beetle scarab that gives him access to a suit of superpowered armor and extraterrestrial abilities. According to The Wrap , DC comics and Warner Bros. are currently adapting the comic-book story to the big screen as part of the DC Extended Universe. Reyes will be the first Latino comic book superhero to be at the center of a live-action film adaptation, and Mexican writer Gareth Dunnet-Alocer has been tapped to write the screenplay. Dunnet-Alocer is also the writer behind Universal’s Scarface remake, and Miss Bala, an upcoming remake of the 2011 Mexican action-drama starring Gina Rodriguez. Jaime Reyes is a relatively new character in the DC universe; his first introduction was in 2006, as the third recipient of the alien artifact from which the hero gets his name. While Latino super-characters existed in the DCEU before Reyes—Jay Hernandez spends most of Suicide Squad with barely any lines as El Diablo—Reyes will be the first Latino lead in a film from either of the major comic-book publishers. If there is any justice in the world, this milestone film will find a seat next to Wonder Woman rather than Suicide Squad in the DCEU’s turbulent track record of film adaptations. Fingers crossed.